Performing an autopsy on paper may not seem as exciting as watching Quincy, M.D. reconstruct a crime on television, but forensic accountants can sometimes work magic on figures in a divorce or other lawsuit. The CPA can verify the existence of hidden, deferred or transferred income, validate claims of separate property, determine disposal income and the standard of living and identify transmuted property. He or she can also identify personal assets acquired by a small business and ascertain its unreported income. This article will focus on discovering hidden income using the form 1040, U.S. Individual Income Tax Return as the starting point. The 1040, however, is not always a completely accurate reflection of a target’s true income. The individual may own tax-free investments, underreport income and exploit fringe benefits, report losses or low income (legitimately) and still draw considerable cash from that business and he may sell-off assets owned by a small business. After reading the preceding paragraph, you probably concluded that the individuals with the most flexibility in tax return manipulation are the small business owners – sole proprietors, general partners, LLC members, and regular and S corporation owners. In preparation for litigation where income is in question, always obtain several years of forms 1040 and W-2, state returns and any related small business returns such as form 1065 and K-1, 1120S and K-1 and 1120. If you suspect these returns to be forgeries or you cannot obtain them, have your client file IRS form 4506 for a form 1040 with W-2s, and, if the client is a company officer, he can also obtain the business returns. Start with the 1040, but do not hesitate to perform an autopsy if the patient appears dead. Review several years of returns to gauge the level of income and deductions. 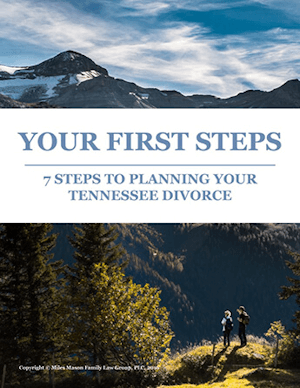 Income tends to fall and expenses rise in anticipation of a divorce or lawsuit. Prepayments for future benefit may be detected on Schedule A. Analyze the property taxes that should be due annually to see if substantially more is deducted. Prepayment of a year or two of taxes can add up. Perform the same check on mortgage interest. An increase in interest deduction from one year to the next could indicate prepayment of a few mortgage payments, and, conversely, a large decrease in deduction could indicate a refinancing or large principal pay-down. Inspect the line 1 Wages and line 5 Medicare Wages boxes. Are these amounts different? Observe the line 15 check boxes; is Pension or Deferred Compensation checked? If yes to either question, this employee has a retirement or 401(k) plan or other salary reduction benefit. If state income tax is withheld in excess of 6-8%, or by a person who does not live or work in the withholding state, or federal tax withholding is a larger percentage than the tax bracket the person would likely fall within, then this person may plan to file for a large refund after the suit. In addition, do not assume that the W-2 is necessarily prepared correctly since many errors or omissions occur on them. If interest and dividends are reported, then some asset is obviously generating the income. If the person owns growth stocks or other non-dividend producing assets, then little or no income will be reported. Although nontaxable municipal interest is supposed to be reported on line 8b of form 1040, many filers omit this since tax-exempt income is not reported to the IRS. Be aware that assets may be transferred to a child through an UGMA, to another person by gift, to a trust or a corporation, and the IRS reporting is on that other entity’s SSN or EIN. A sole proprietor does not have to keep a balanced, double-entry accounting system, i.e., many owners keep their records in a coffee-stained spiral notebook. Since the income statement and balance sheet are not required to be reported and reconciled together on the return, as is the case with a corporation, partnership or LLC, manipulation can occur. Consider whether or not the company is the type that would sell inventory and/or carry receivables on account. Most Schedules C are reported on the cash basis, thus receivables and inventory may exist but are not recorded anywhere. If possible, inspect sales tax returns, customer invoices or cash register tapes to ensure that all income is reported and not pocketed. Watch for excessive vehicle, travel, meals and miscellaneous expenses. Depreciation can be manipulated legitimately for tax reporting by writing off the full value of assets under IRC Sec. 179. Also note that assets that might appear to be leased may in fact be a disguised purchase. A common legitimate tax dodge allows individuals to pay rent to themselves for buildings they own and their small business uses, in place of a larger salary or draw. The rent expense is deducted on the business return, but the reportable income is sometimes mysteriously absent on the individual’s 1040 rental income Schedule E.
Profit or loss from a small business, after all expenses, for a partner, LLC member or S corporation owner is reported to them in the form of a Schedule K-1, which is an attachment to a business tax return. A partner or LLC member should not receive a W-2 to report his income since he is not a legal employee, and an S corporation owner should receive a W-2. When inspecting the partnership/LLC and S corporation income section on page 2 of Schedule E of the 1040, scrutinize the income/loss and IRC Sec. 179 expense taken. This does not necessarily reflect the actual income received by this owner. An S corporation owner will commonly take compensation in the form of “S corporation draws”, which is essentially a non-reported return of capital likened to a dividend, in place of or in addition to his W-2. If the K-1 is correct, the draw figure will appear on the second page. If not reported there, check the corporate tax return balance sheet on page 4 for the distributions. 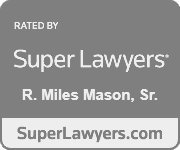 In a recent divorce case, I observed an owner’s S corporation K-1 that reported income of $49,250. The owner took no W-2, but rather took all of his compensation, $78,500, as an S corporation draw (which is against IRS rulings because it avoids payroll taxes). The K-1 was in error and did not report this draw, but I did discover it in on the corporate tax return. The payroll tax avoidance issue was backup ammunition for my client for another day. The partner/LLC member receives most of his compensation by taking return of capital draws. The draws should be reported on the K-1 and on the form 1065, page 4. Be aware that both LLCs and partnerships file on form 1065, the partnership tax return. Another form of compensation, likened to a salary, is called a “guaranteed payment” and should be reported on that partner’s/member’s K-1. A common error, or deception, is to not report the guaranteed payment (salary) on the K-1 and bypass paying tax on it. Once again, income reported on the K-1 does not necessarily reflect the owner’s actual income received. Another aspect to consider is the amount of capital or loans a small business owner may invest in or loan to his company. Owners can easily bury capital on a tax return. Track the retained earnings or partners equity from year to year. The basic formula is beginning (prior year) balance plus net income earned less draws equals ending balance. Analyze the total capital and owner-related loans. If these balances seem high for the type of business, ask yourself if this business needs a large amount of accumulated capital to operate. Dead men don’t talk, and sometimes tax returns don’t either. CPAs will often be called upon to conduct an autopsy on the paper to determine the cause of discrepancy in income claimed versus reality. The exercise of finding unreported income is very useful for alimony and child support issues, but also allows for some good negotiating room. Assuming no personal or business financial statements are available and the tax returns are silent, then where do you look? Five basic methods are available to prove unreported income: the Transaction Method, Net Worth Method, Expenditures Method, Bank Deposit Method and Percentage Method. This is the easiest method to employ since it involves identifying a specific item or transaction that was not reported on a tax return such as a real estate sale or securities sale. Most financial transactions and earnings are reported to the IRS on some type of form, like a 1099. An individual may fail to identify to the court or report on the tax return items that are recorded on a 1099-S, from a real estate sale, or 1099-B, from a broker sale of securities. This is discussed as a general concept above in relation to erroneous K-1 reporting. A business might also inflate inventory values or create fictitious payables in order to depress reportable income. In this case, a thorough fraud audit may need to be conducted on the business’ books. Many civil and criminal tax cases use this method to determine unreported income and to support findings from other methods employed. The concept is simple – if a individual’s net worth from one year to the next increases beyond the reported income, then unreported income probably exists. Outside of a 1040, records of assets can be obtained from county assessors, bank and brokerage accounts, federal estate and gift tax returns and loan/credit card applications. After an unsubstantiated increase in net worth is established, a likely source for this income must be determined other than from accumulated cash, loans, inheritances, gifts, insurance proceeds, etc. If the individual claims the likely source was from accumulated cash, you need to establish the unreasonableness of this by searching for checks returned for insufficient funds, bankrupt filings, offers in compromise or installment agreements with the IRS, Social Security and employer records showing low income, deposition answers about cash on hand, etc. This method is very simple to understand and apply and is useful when the individual spends most of his income and does not save much. Establish annual expenses through affidavits, checkbooks, bank statements, canceled checks. If the expenses exceed the reported income and it can be established that the gap was not bridged with accumulated cash, loans, inheritances, gifts or insurance proceeds, you probably have found unreported income. The IRS commonly uses this method to catch tax cheats. All deposits recorded in all banks and other institutions are totaled, cash received by the individual that was not deposited and used to pay expenses is added, deposits that do not represent already reported and known taxable income are subtracted and business expenses paid by check or cash are subtracted. Finally, the standard or itemized deductions and exemptions, as reported in the 1040, are deducted to arrive at taxable income. If more taxable income is found with this formula than was reported on the 1040, the individual probably has unreported income. Not used as often, but this is a good method for supporting findings from other methods when investigating a business. An established and reliable profit percentage, typical of that business, is multiplied by a reported income base, such as sales or gross profit, to determine net income. The formula net income is compared to that reported on tax returns or financial statements to establish an underreporting of income. I used a variation of this method combined with the business valuation method of capitalized returns a few years ago in a divorce. The case involved a small town family that owned the local cable company and several other businesses in town. The husband owned a separate property minority share of the businesses and had successfully stalled producing financial statements and tax returns, but we did have all of the 1040s for this five-year duration marriage. The attorney that employed me had been assigned this case a few days before trial and needed me to very quickly establish an increase in value of the separate property since an antinuptial agreement was signed. I established a value of the businesses in each year of the marriage by taking his minority reported income on the 1040s and “grossing it up” to a full value using his ownership percentage and a reasonable rate of return. This gross up provided me with a figure for goodwill, which I added to the “hard assets” he had reported on an affidavit. Together, the goodwill and hard assets established a value that the wife was able to show had increased substantially during the marriage. The judge approved of the easy-to-understand methodology and awarded a decent property settlement, despite the antinuptial agreement. The transfer of income between an individual’s 1040 and his business return, and visa versa, can be easily manipulated and go undetected, but is not necessarily illegal. Tax returns are often the first, best shot at establishing income and discovering assets. Read between the lines and keep your eye on the cash flow. If that still is not finding the income and assets that seems to exist, employ a forensic accountant to perform an autopsy on the paper. Robert Vance, CPA, CVA, is a Certified Public Accountant (CPA), Certified Valuation Analyst (CVA) and Certified Financial Planner (CFP) with Robert Vance & Associates, CPAs and Con­sultants in Memphis, Tennessee. 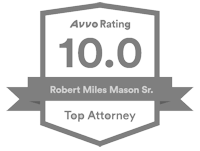 Robert practices in pub­lic accounting with a concentration in business valuation, divorce litigation support, damage calculation and expert witness testimony. 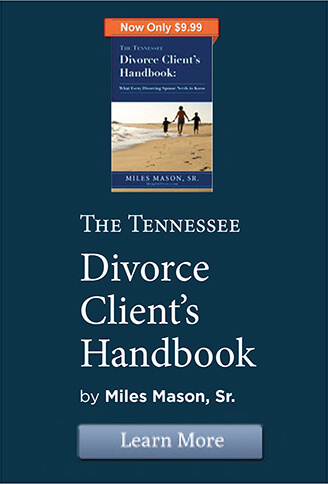 He has been admitted as a court-qualified expert in the Circuit Court of TN for the 30th Dist. at Memphis, Chancery Court of TN at Memphis and Chancery Court of TN at Dyer County, and testified at depositions, bench trials and jury trials. For more information, see his web site.